Chelsea couldn't have asked for a more consummate performance than the 5-1 hammering of Newcastle United going into the away leg of their Champions League encounter against Paris Saint-German on Tuesday evening. 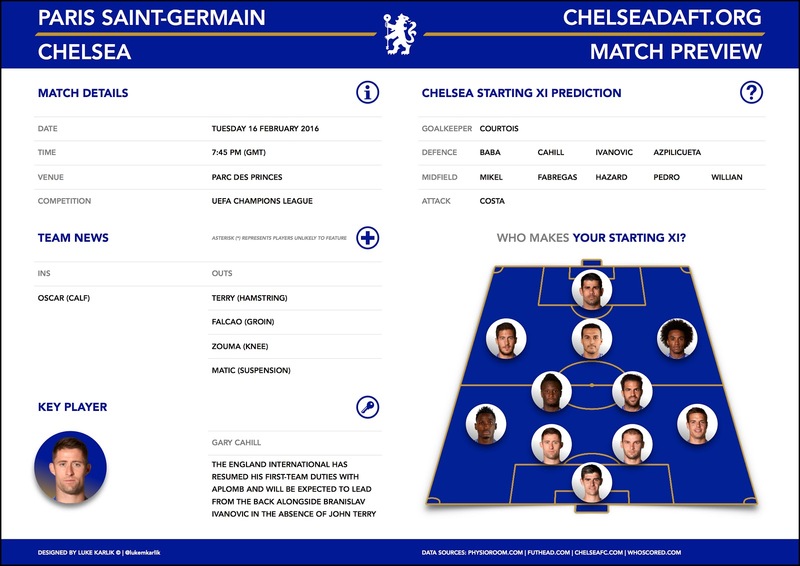 The Blues looked reminiscent of the side which ran away with the Premier League title last season though even if they produce a similar performance at the Parc des Princes, it's safe to say they would be disrupting an almighty run by taking a victory from the French capital. Our hosts have been in imperious form this season, losing just once to Real Madrid of all teams back in early November. Laurent Blanc's men have so far dropped only four Ligue 1 points while conceding a mere eight goals in their own backyard. Ivorian full-back Serge Aurier is the single absentee for the hosts as a result of a club-imposed suspension following his bizarre social media outburst. 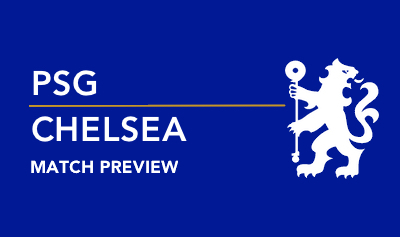 Whether you think playing the first or second leg at home is advantageous, Chelsea's task in Paris is to remain disciplined while playing simple football going forward. As we saw against Newcastle, our most influential players are suited to quick, direct passing. We can expect the solid David Luiz-Thiago Silva partnership to give Diego Costa little change up front, so Fabregas' lofted through balls for the Spaniard could be rendered ineffective. Instead, we need to move the ball at pace through the middle of the park in order to capitalise on the fact Blaise Matuidi is the only competent defender alongside Marco Verratti and Javier Pastore in the PSG midfield. Similarly, Hazard and Willian could have their fair share of joy running at full-backs Gregory van der Wiel and Maxwell, who aren't exactly the cream of the crop. I think we'll take a 1-1 draw back to the Bridge. What are your score predictions?